​The Point Pleasant Borough Office of Emergency Management (OEM) was officially enacted by resolution in the early 1950's with the name "Civil Defense". The Emergency Management Act of 1989, originally known as the Civil Defense Act of 1942, makes it possible to coordinate resources, manpower, equipment and financial assistance from state and federal agencies in the event of a local disaster. 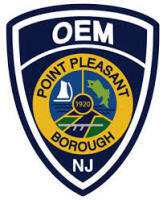 The Point Pleasant Borough Office of Emergency Management is under the direction of OEM Coordinator William J. Dikun. 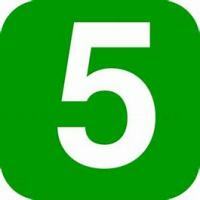 The Point Pleasant Borough Office of Emergency Management’s mission is to reduce loss of life and property in order to protect the environment from all-hazards (man-made and natural) and acts of terrorism, that occur within, or may effect, the Borough of Point Pleasant. This is accomplished through collaboration to build, sustain, and improve our capabilities to prepare for, protect against, respond to, recover from, and mitigate hazards, by providing and coordinating resources, expertise, leadership, and advocacy through a comprehensive, all-hazards, risk-based emergency preparedness program. When OEM becomes involved in an incident, it is because the scope and scale of the incident necessitates assistance beyond local resources. During these events, officials from the Borough and County (and possibly State and Federal) are also involved along with nongovernmental organizations (NG0s), elements of the private sector.